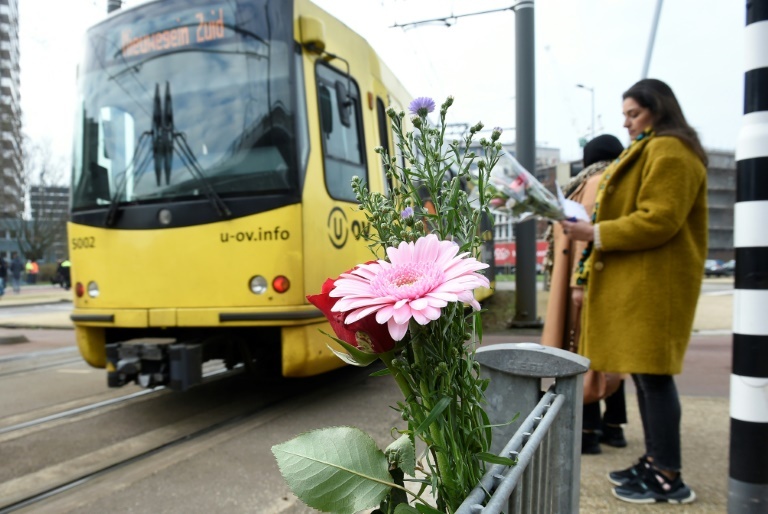 Dutch authorities said Tuesday they were “seriously” investigating a terrorist motive for the Utrecht tram attack because of evidence including a letter found in the suspected gunman’s getaway car. Police were questioning Turkish-born main suspect Gokmen Tanis, 37, and two other men over Monday’s rampage in which three people were killed and seven injured, three seriously. Dutch Prime Minister Mark Rutte had earlier said they “cannot exclude” other motives including a family dispute, but police and prosecutors said on Tuesday that the probe was leaning towards terrorism. “So far, a terrorist motive is seriously being taken into account. This is based on a letter found in the getaway car among other things and the nature of the facts,” police and prosecutors said in a joint statement. Armed police captured Tanis after an eight-hour manhunt that virtually shut down the Netherlands’ fourth largest city and triggered a nationwide increase in security at airports and key sites. Police said they had found a red Renault Clio that the suspect had used as a getaway car after the attack. They had also found a firearm after his arrest, they added. Tanis and two other men aged 23 and 27 are still being interrogated, police said. “I am here to pay homage to the victims and to support their families,” added local resident Yvette Koetjeloozekoot, 29. Flags were flying half-mast on many buildings around the Netherlands. Rutte was chairing a cabinet meeting on the attack, which has raised security fears a day before provincial elections in the Netherlands. “Some say it is a family matter, some say it is a terror attack … Our intelligence agency is looking into the matter”, Erdogan told Ulke TV late Monday. Dutch media have reported that the suspect had a long rap sheet and was only released from jail two weeks ago on a number of charges. Broadcaster NOS reported that some of his relatives had links to fundamentalist Islamic groups, but also that he was known for unstable behavior after divorcing his wife two years ago. “We want nothing to do with him. He has the IQ of a shrimp,” one resident told the Volkskrant newspaper, asking not to be named. Police and witnesses said gunfire broke out on the tram on Monday morning, sending people fleeing and triggering a huge police response. Mosques and schools were closed across Utrecht following the bloodshed, before heavily armed officers surrounded a building and arrested Tanis. Support for the Netherlands poured in from around the world including the United States, the EU and Russia.